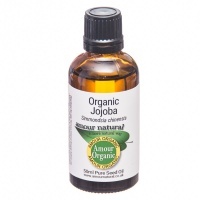 Amour Natural Organic Rosehip Oil is a nourishing, semi-dry oil. Ideal for preventing premature aging, wrinkles, stretch marks and scars. 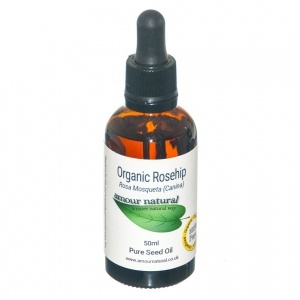 Rosehip oil is a very nourishing oil, rich in fatty acids, vitamins, antioxidants and retinoic acid. It is incredibly effective at preventing premature aging by protecting skin cells from damage, which reduces wrinkles as well as stretch marks and scars. 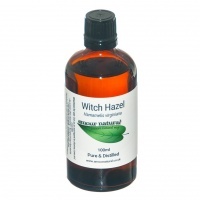 The oil’s active ingredients encourage cell growth, collagen synthesis, evens skin tone and balances pigmentation. It is a dry oil, meaning it is absorbed easily and leaves very little oily residue. 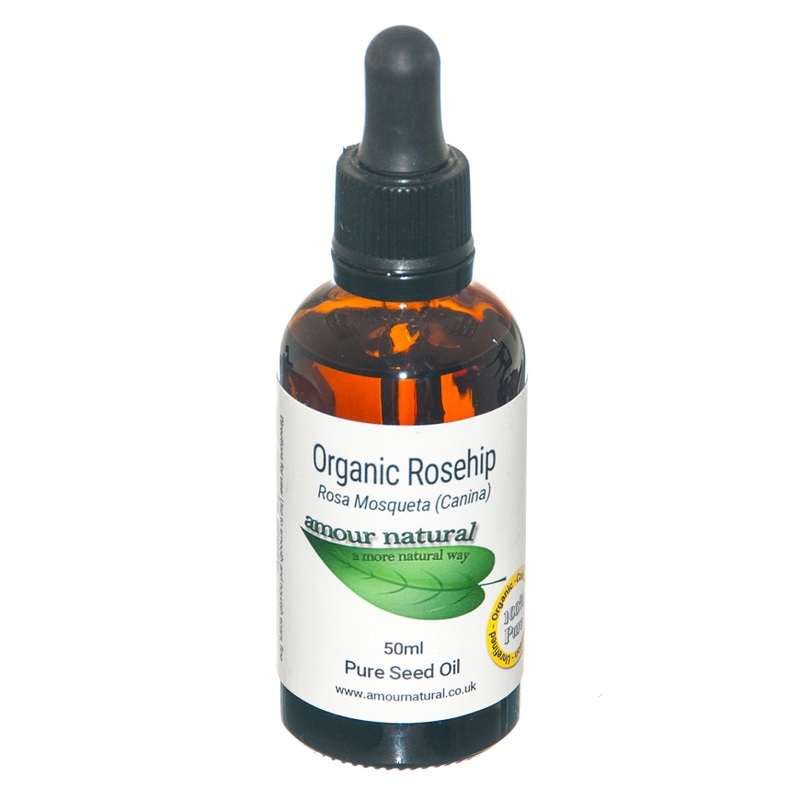 Rosehip oil is cold pressed from the seed of the rose bush. The unrefined version can be either light yellow or a darker colour depending on the amount of fruit left in the oil and has a distinctive fatty smell (it does not smell rosy). The smell dissipates quickly when applied to the skin, and storing it in the refrigerator will help reduce the smell as well as extend the life of the oil.